UCEDC offers a variety of FREE seminars to all small businesses and entrepreneurs to assist them in becoming savvy in the government contracting arena. These interactive seminars range from the basics of government contracting to complex agency and government initiatives. Attend this event and learn if your company might be able to become one of the EPA’s small business vendors. Which schedule is right for you? Learn the necessary steps it takes to get your share of this lucrative market at this seminar. Attend this seminar and learn how these programs and services and benefit your business. The US Army Corps of Engineers (USACE) plans, designs, builds and operates a vast array of civil and military projects. Committed to working with small businesses like yours, the USACE purchases a variety of services and equipment, from surveying to grass mowing to kitchen equipment to hazardous waste remediation. Maximize your opportunity as a potential supplier of USACE by attending this seminar. 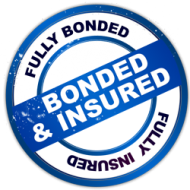 This seminar will give you the information you need to potentially get the contracts you want. Attend this event and learn how to keep your business on track for a satisfactory audit. 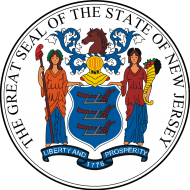 Learn how to market your business capabilities to the State of New Jersey in this information-packed seminar. How to really understand procurement policies and methods. Learn the steps you need to take to get started with doing business with the DOT. Learn what opportunities are available for your business with the VA at this event. SBA Certifications: What’s in it for You? How to obtain the certifications? Why is vendor registration important? What are the requirements to qualify as a small business? Learn what certifications and registrations you need for your business at this seminar. Make sure you are in compliance with all legal requirements for your business by attend this seminar. Learn how you can get started and find out just how easy it is to bid with SEPTA. Attend this event and learn how your company can be a potential vendor of HHS. Picatinny works extensively with businesses and universities to bring the world’s best warfighting technology to our soldiers. The Joint Munitions & Lethality Life Cycle Management Command is canvassing industry in order to develop a comprehensive listing of Small Business, Small Disadvantaged Business, HUB Zone, Women-owned Small Business, Service-Disabled Veteran-owned Small Business concerns for use in soliciting contract requirements for supplies, hardware, spares and services in support of Lethality systems and equipment. Where do I find contracting or subcontracting opportunities? How do I submit bids and proposals? Where can I find government regulations and technical data? This seminar will give you the information you need to take full advantage of Picatinny’s services and programs. 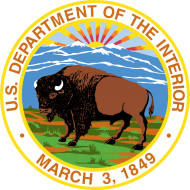 Attend this event and learn more about opportunities for small businesses at the Interior. Learn how to effectively use this new system to your advantage at this seminar. Attend this seminar and learn how to potentially sell your products or services to the aviation industry. Learn how to market your business capabilities to the Department of the Treasury in this seminar. This seminar will give you the information you need to be part of that pool and get the contracts you want.